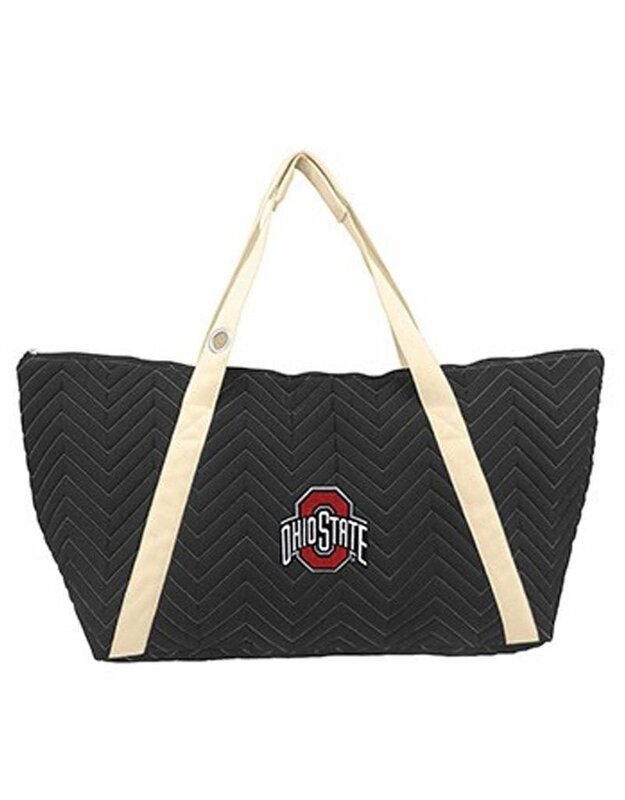 The Ohio State University Chevron Stitched Weekender Bag is large enough to carry whatever you need. Soft cotton bag features a chevron stitch quilting pattern, natural webbed straps and nickel hardware. Embroidered Athletic O logo crest patch. 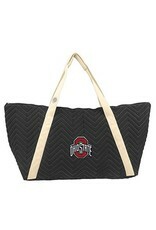 Bag is fully lined with interior slash pocket. Measures 14" x 28" x 9". Officially Licensed Product.